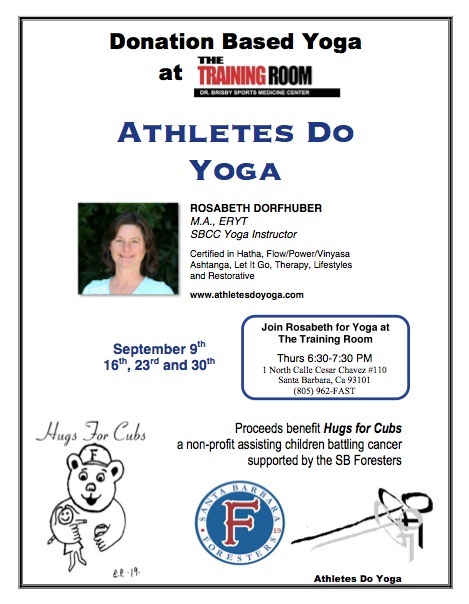 Rosabeth Dorfhuber and Athletes Do Yoga support HUGS FOR CUBS, a non-profit assisting children battling cancer and supported by the Santa Barbara Foresters baseball team. She regulary holds donation based yoga classes called "YOGA HUGS" to raise funds for HUGS FOR CUBS. Donation based yoga class. Proceeds go to HUGS FOR CUBS. I'm helping the Santa Barbara Foresters gather donations for their annual fundraiser - golf tournament, auction and raffle to be held just before Thanksgiving. Do you have any leads for me? 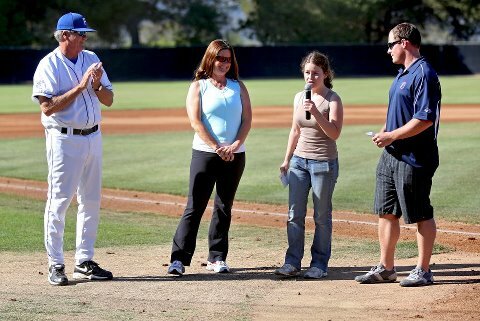 They're a great summer baseball organization that helps local kids with cancer through their Hugs for Cubs non-profit. If you have suggestions or recommendations, please share them with me. I appreciate your support!